I updated it and it was working properly. All of a sudden I cannot see and do anything. Everything is being displayed like in landscape mode but incomplete, with the apps very very grouped together (no android apps detected). I cannot find the settings app. All I could do is launch the terminal (dev mode is on). I observed that right before it happened, all my android apps disappeared, and the rearrangement of the original apps was set to default. Than everything turned dark. After restart i get a loading bar (the circle one) and the same behavior repeats itself. I tried pulling the battery out, nothing. I was running Mitakuuluu and CuteSpotify. I had Friends (from OpenRepos), the app which modifies the snooze time, meap (this is what I can remember so far). Can you guys also launch the terminal? Maybe there is something which we can do from there. Yes, I can launch the terminal. I asked the same in my question. No suggestion yet. Is there a way to create a backup from the terminal? Could the people with this problem write if they are using openrepos, and if they do, which openrepos apps are installed? At least the device in a screenshot has been using openrepos (https://openrepos.net/content/basil/warehouse-sailfishos). Yes, i had it installed. From what I remember I was running at that time CuteSpotify and Mitakuuluu whatsapp client. Ok, I tried "power on w/ volume button down", which @ssahla suggested. Now I'm stuck on the "welcome screen" with Jolla logo. Maybe someone could give more precise instructions on how to reset? @rainisto ? or @ssahla? @rainisto said something about "inserting battery w/ volume down"? I suggest no more actions until the reason is found out. Sorry for what you're experiencing, there must have been an ugly problem in some open-repos app. When jolla logo is showing then Plug in USB cable and using USB networking telnet to 192.168.2.15 or 10.42.66.66 and follow the instructions in the menu. But might be better that we do a bit more debugging before that in order to find out what went wrong. @simo: I was actually playing in CuteSpotify, then the app quit. I went to relaunch the app, and then I noticed that there were no Android apps and the default apps were arranged like the phone was just reset. @rainisto what does this "using USB networking" mean? I did remove battery, kept volume down, inserted battery, powered on, got Jolla logo, inserted USB (all this with volume down) and nothing happened----->then what? 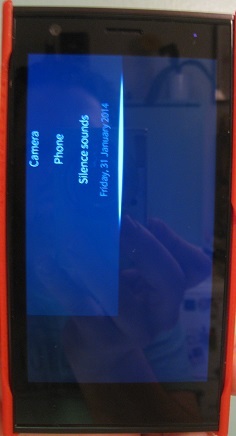 did you tried setting/checking value of /desktop/jolla/components/screen_rotation_angle gconf? Can we close this? I don't think it is relevant anymore, and we definitely need to do some cleaning around. Is anyone using Mitakuuluu autostarter? If this program starts, maybe this is the problem? Just a suggestion, not accuse. I use Mitakuuluu autostarter and already rebooted device since update. No issue, everything is working great. I don't have cutespotify installed but several other applications via Warehouse. So is the common nominator with cutespotify or just coincidence? Any cutespotify users out there who have succesfully updated? 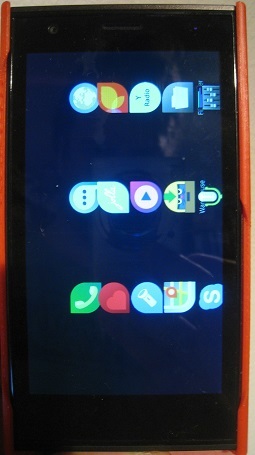 It looks to me like Jolla now remembers the state in which the phone was turned off or crashed (landscape/portrait) and starts the phone in the same state which causes problem to the homescreen which is not yet able to cope with landscape. Maybe try launching camera or browser and change the orientation? (possibly combine with reboots). Just a wild guess. At least opening browser, going to landscape and taking off battery did not produce the same problem. Just tried to turn it off with the browser in landscape and no problem as well. The cause must be somewhere else.